this lightweight, smoothing cami is the perfect base layer &mdash;wear it under your favorite tops for extra coverage. we s-shaper are an enterprise which professionally engaged in shapewear products research and development, production and sales. We take care of Designing, Sourcing, Development, Production, Quality, Inspection, Documents, Shipments, etc. and deliver end products with quality required as per customers&rsquo; specification. We make sure to get the best prices, right quality, on time shipments without hassles for our customers. Features: Made from a soft knitted fabric, very comfortable to wear. Wonderful piece to match other clothing and suitable for trip to beach. Note: The crochet lace pattern may be slightly different from those on models. 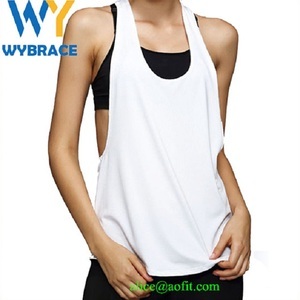 Alibaba.com offers 2,339 womens tanks and camis products. About 64% of these are women's tank tops. A wide variety of womens tanks and camis options are available to you, such as free samples, paid samples. There are 2,263 womens tanks and camis suppliers, mainly located in Asia. The top supplying countries are China (Mainland), Pakistan, and India, which supply 93%, 4%, and 1% of womens tanks and camis respectively. Womens tanks and camis products are most popular in North America, Western Europe, and South America. You can ensure product safety by selecting from certified suppliers, including 91 with Other, 66 with ISO9001, and 42 with BSCI certification.